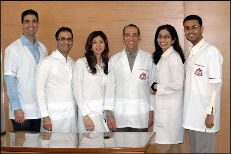 Prosthodontics Mumbai,Dr.Porus Turner, B.D.S Doctor,M.D.S Doctor,Aesthetic Dentistry,Cosmetic Dentistry. Prof. Dr. Porus S. Turner is Professor of Postgraduate studies in the Dept. of Prosthodontics at A. B. Shetty Institute of Dental Studies, Mangalore, India. He obtained his B.D.S. degree from the University of Bombay in the year 1964 and his M.D.S. degree too from the University of Bombay in the year 1966. He is the founder member and past president of the Indian Academy of Aesthetic and Cosmetic Dentistry. He has 26 original publications in national and international journals to his credit and has contributed to two books on dentistry. He has authored a book entitled “Art and Science of Aesthetic Dentistry.” Dr. Turner is a fellow of the Academy of Dentistry International and a Consultant to the Bhabha Atomic Research Center. He lectures extensively in India and abroad on Restorative Dentistry. He was a guest speaker at the 1st International Conference on Adhesive Dentistry held at Tokyo, Japan from 19th to 22nd April 2002. He was invited by the 2nd International Conference on Adhesive Dentistry held in Tokyo between 22-24th April 2005. Invited to the International Conference on Ceramics, San Diego, U.S.A. between 24-26th June 2005.